Our ‘A Day in the Life’ series highlights alumni in various fields and positions, offering a glimpse of what life after graduation is like. This post comes to us from M&T alumna Reshma, currently Co-Founder and Partner at Seedcamp. I work in venture capital within the tech industry. We invest in super early stage businesses across EMEA with a view of funding and supporting the best entrepreneurs that will build globally world-beating businesses. As a trained banker and procrastinator, I hate waking up early. Clearly I must not believe in the early bird catches the worm. I get up between 7am and 8am. What time were you done for the day? Basically I leave work to get home by 6pm to spend two awake hours with our son Lukas. During that time I start working secretly by checking email on my iPhone. My son is obsessed with the phone so part of the game is to hide it from him while still digesting the morning emails. Once he’s in bed, I then get back on email and work from 8pm to between 11 and 11:30pm. And then off to sleep. Just the reality of a working mom! My job involves a lot of meetings and a lot of emails and connecting people. I met an awesome Product Designer and Marketing guru. We talked about the evolution of venture capital, including VC funds, how our organizations are scaling and how we can templatize Product and Marketing into the Seedcamp platform so as to benefit companies at scale. This is a long conversation and will take many iterations to try to solve. I also spent a work session with one of our companies mapping out the potential market size of their business (smaller than a billion dollars with their current product) and worked through product ideas and Go To Market strategies that might enable them to grow their addressable market into more of the billion dollar realm. Finally, also had a heart to heart with a team where we need to work on our mutual working relationship and building long-term trust. This whole business and life is about trust. So it’s critical to build that each day at a time to have a good, long term, worthwhile relationship. All this is incredibly energizing and fun and inspiring. But of course there is admin time, making follow-on introductions, answering emails, adding contacts to the CRM database (manual data entry work) and so forth. As mentioned above, I interacted with our team, some of our mentors, founders of companies we have invested in, partners, and other contacts over email and in person. Of course my son Lukas, my husband, and my friend who is also our nanny as well. I recently returned from one month on a US roadshow with our companies and then was in Berlin for TechCrunch Disrupt for a few days where I was on the Battlefield panel. Finally I am in the home office for two weeks and then traveling again to make more new investments. Talking to our founders. It’s always inspiring and exciting to dream with them about big problems, big markets, and all the ways to execute and build teams to execute. Conquering the unknown step by step. It’s like climbing a mountain (which I love) or skiing down a new mountain, or going diving and finding new sights. You will inevitably make lots of mistakes and get things wrong, but you’ll get lots right and the thrill of the journey and hopefully rewards is a lot of fun. UPenn and M&T. There isn’t a person who doesn’t know me well that hasn’t heard me say M&T was the reason for my career path and I guess my life choices. My entire career progression is a marriage of M and T…. today I work on the business side of technology and have done so since my first job post graduation. I owe a huge ton of gratitude for having been selected into UPenn in the first place and M&T particularly. Several of my best friends today are from M&T. I am so thankful I Early Decision-ed! On a practical level, I ended up here through meeting and connecting with the right people for what I wanted to do. I have never interviewed at lots and lots of places. That’s both a good thing and a bad thing. When a relationship and role felt right I embraced the opportunity. As per above, it set me up with a perfect appreciation and training for being effective on both the business and technology sides. Back in 1998 we were on the cusp of technology taking over the world. How lucky that I was at the beginning stages of this revolution in the world’s only program to really bring the two disciplines together. Know what you’re good at and find roles that allow you to excel at things you are good at, along with helping you develop things you are not as great at because you will still need to develop those skills. Venture capital is extremely difficult to get into because by nature the industry is structurally small. So if you really want to get into the industry, find out how others have gotten in and become hugely successful and learn from those examples. Don’t emulate them but learn from them. Be extremely hungry and curious and make or jump on opportunities when they present themselves. I was unhappily working at a role in VC when I started Seedcamp. Luckily I had come to know some amazing people who gave me the opportunity to make a difference. I jumped in both feet first. 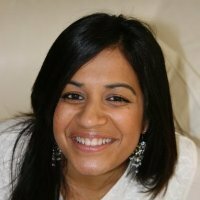 Reshma is currently Co-Founder and Partner at Seedcamp in London. She graduated from Penn and M&T in 1998 with a Bachelor of Science in Systems Science from Penn Engineering and a Bachelor of Economics from the Wharton School with a concentration in Finance. In addition to her work, Reshma loves spending time with her son, playing sports, and traveling – specifically to Africa.